"good service for cheap price"
✅ Trip Verified | The journey started with very friendly ground staff at Frankfurt Airport. Both legs were smooth and pleasant flights. 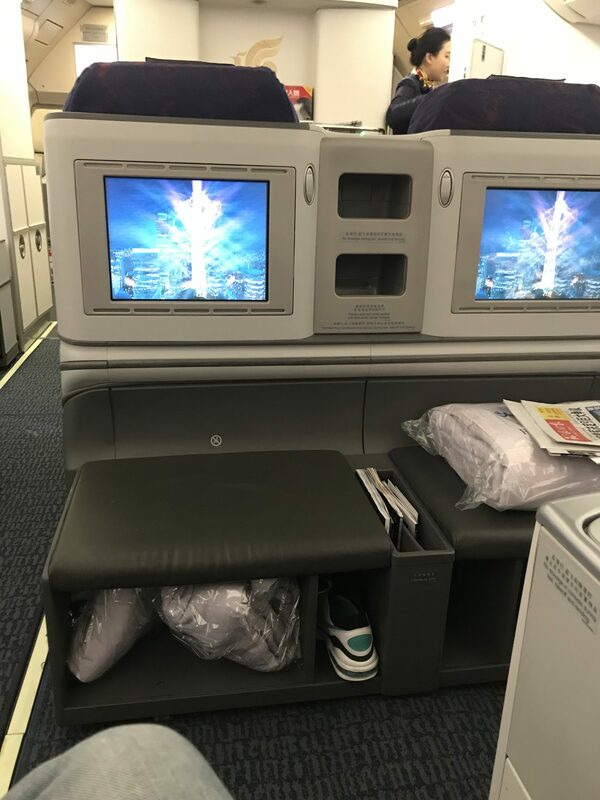 The seats are ok. For long distance flights they have been a bit hard for me which was uncomfortable during the last two hours of the first leg. The IFE offered a nice selection of Chinese and international movies and series. Compared to other airlines it was a smaller selections but enough for an entertaining flight in multiple languages. The cabin crew was nice and never acted bothered or unfriendly. They had an open ear for the passengers. The only little thing that has been noticed is the English language of the crew. It was challenging to understand them due a very strong accent. The crew did their best but for unexperienced speakers it would be tough to understand. The food on both flights has been good for economy. Both warm food options and the snack was very tasteful. The connection at Beijing airport was fast and as comfortable as possible. After security the waiting area for transit passengers offered a good view of the gates and lots of vending machines and snack and coffeshop. 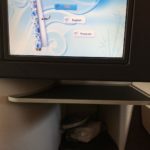 Air China positively surprised me with their good service for cheap price. ✅ Trip Verified | London to Phuket via Chengdu. Awful. If you can, book with someone else. All the flights were late, the food is horrible and it did not change in the entire flight (rice and chicken 24/7). But the main thing for me was that on my return, I got the dates wrong and i turned up a day late to my flight. This wad entirely my fault, but no one in the company could offer me a solution and they made me call their call centre in china, where they put me on hold for more than 20min (international call-imagine the cost). The staff was really rude, picked up the phone and said they would not put me in another flight (even though the woman at the check in desk told me there was a lot of space in the next one) and they wanted to charge me around 1000€. In the end I had to book another one with Singapore Airlines, faster and only 550€. Even though it was my fault to miss it, i know this happened to a few people and their company placed them on the next flight free of charge or for a fee. ✅ Trip Verified | Beijing to Washington. Food has improved over the last flight about a year ago. Last time I won’t even eat the food it was so terrible. Aircraft had all the bells and whistles to include an IPhone charging outlets. The toilets were extremely dirty. Most of the flight attendants were extremely rude, conversely, others were extremely polite. My final comment is that even though Air China does not have control over the this, airport security operations in the dark ages! Of all the airports I’ve been to, this is absolutely the worst security operations there is. ✅ Trip Verified | Los Angeles to Hangzhou via Beijing. Worst travel experience in my life. 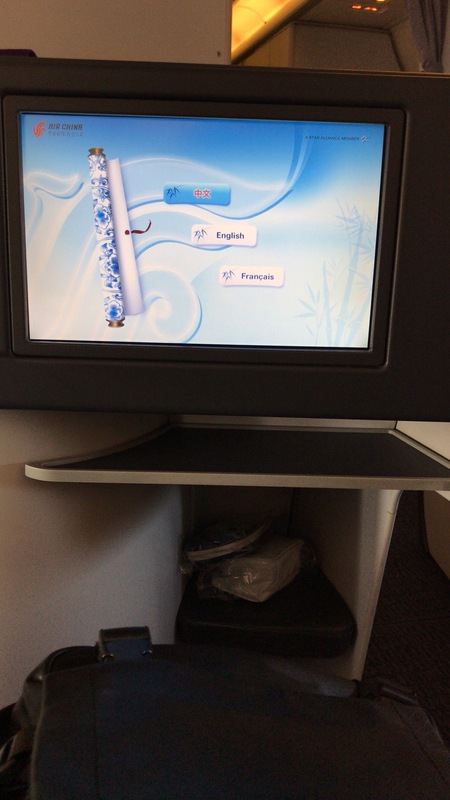 I was traveling with ac from Los Angeles via Beijing to Hangzhou on April 2nd. The plain landed 15 min late which was not so bad considering the flight was 13 hours long. 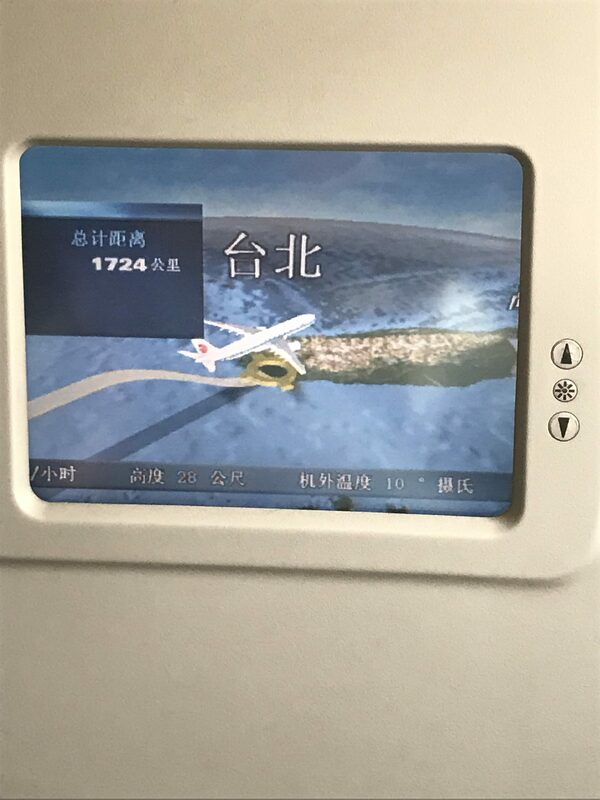 I missed my connecting flight to Hanghzou due to tight flight connections, disorganization of the Air line and the customs and crew. We never got the entry card on the plane, so 200 people were trying to get the card, find a pen and the space where to fill out the card. At the same time airport staff barely speak English, but they are great in "sign" language. Anything you ask they just use their hands to direct you to go left, right, back or straight. Truly sad. I was directed along with a another passenger to the wrong gate c10 , instead of c4 that directly led to miss my flight literally within 5 min. I needed to go back to the main terminal and change my ticket. I was issued a ticket for next morning and offered hotel stay. When I got to the dingy hotel I was told if I dont want to share the room with another person I will have to pay 200 yuan. Yes, I end up paying for the hotel! On my way back from Hangzhou to Beijing my flight was delayed 1 hour and 30 min because of "air traffic control". We landed at 2:10. I was running, thru the airport, from domestic to international department, and despite my own belief I managed to get to the gate Lady told me that my ticked was erased and she can not do anything. I needed to go back to change my ticket for the next flight which was 6 hours later, and even this flight was delayed for another 90 min, due to Again "air traffic control" . Thank you For making my trip so miserable. I will make sure to spread the word everywhere I go to let everyone how bad the experience was, and aware travelers to stay away from this airline company. Not Verified | Frankfurt to Bangkok via Beijing. We missed our last flight (Bangkok to Phuket) because the flight from Beijing to Bangkok departed 2.5 hours late. We should have arrived at 18.35 but we arrived at 21.00. We didn’t get refund for the flight we missed and the hotel although it wasn’t our fault. ✅ Trip Verified | Taipei to Beijing. Surprisingly the food tasted great. Had some nice food in the lounge in TPE as well. Onboard, the service was good, an angled flat biz class seat. But for a 2-3 hours flight, it was sufficient. 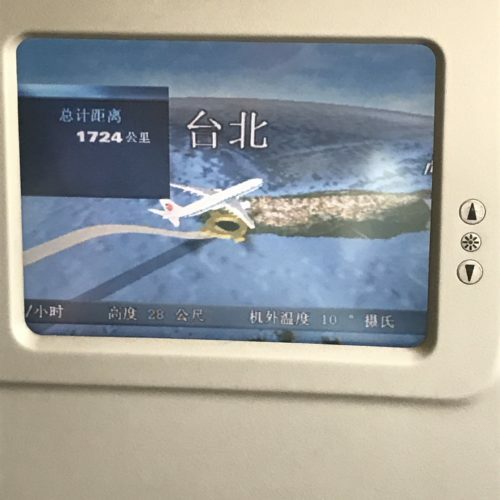 ✅ Trip Verified | I took biz class flight from Beijing to Taipei. The overall service was good, but I ordered a fruit platter and that was a very basic one, the presentation was not good and the fruit quality was not either. But the crew was attentive and pleasant, I hope Air China can improve the food as there is only so much a crew member can do to make up the overall customer experience. 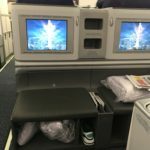 Air China’s aircraft and seatings in biz class are on the par with some airlines. ✅ Trip Verified | Auckland to Delhi via Beijing. The flight took off and landed smoothly. Food was average but okay, plenty of drink. Entertainment touch screen is easy to use. Crew was very helpful and lovely, the price is very competitive, plus you can transit in Beijing without visa. A great airline. Will definitely fly again with Air China. Not Verified | Hangzhou to Johannesburg via Shenzhen. I had the worst experience ever using this flight Air China.I had extra kgs of my luggage which I was suppose to pay for. They told me to pay the amount which was double the actual money that I was suppose to pay. These guys they don't understand at all. I spend about 2 hours talking with them that this amount is too much, you might be doing a mistake. I ended up left my suitcase because I did not have that huge amount they wanted me to pay. When I was now in Shenzhen I asked the other Air China staff the amount I should pay for much kgs and they told me the correct amount but it was now too late because I had left the suitcase in Hangzhou airport. I am very disappointed with this airline and I will never took it again. Now my suitcase is still in China and I am going to incur extra expense to ship it to my country. Also they do not give enough food as compared to other airlines. Air China just give two meals for the whole journey from Shenzhen to Johannesburg. I don't advise anyone to use this airline. ✅ Trip Verified | Took 4 flights recently on a return trip to Japan. Booked 10 months advanced and requested vegetarian food. First on two flights they had no record of our request. I ended up eating 3 bread rolls as they had nothing else. On the 3rd flight coming home, they somehow had remembered and provided a veggie meal (which was the same as the normal meal, but no meat. Just plain rice!). By this point I had given up hope. Low and behold, the 4th flight was no vegetarian food. How they can let this happen is beyond me, not because of me being a vegetarian, but what happens to those with nut allergies or something? Also, the aircraft's were awful. The final leg home from Beijing to London, we were ferried out into the middle of Beijing airfield, where a lone aeroplane stood, looking very dirty and unused. This plane was from around 1999, with old TV sets, practically no leg room, and uncomfortable seats. Hands down the hardest flight I've had to endure. Will pay more next time and fly with a company like Singapore.